The most commonly used vehicle for private equity investments is the private equity investment fund (FIP or Fund), which requires active participation and influence in the administration and decision-making process of the invested companies. The FIP does not have a separate legal personality: it is classified as a co-ownership, hence it is understood as a pool of assets owned by the quotaholders. This means that the FIP, aside from having its own accountability, procedural capacity and equity, is not considered to have a separate legal personality and must be represented by its administrator. As set out in current Brazilian regulations and also as a consequence of the fact that the FIP does not have a legal personality of its own, the quotaholders may be held liable in the case of loss. Despite the above considerations, adverse consequences for investors have been highly uncommon so far. The administrator, along with other service providers as applicable, is held liable for most of the legal consequences in relation to compliance with legal requirements and fiduciary duties. The process of constituting a FIP usually takes around 10 days to be concluded as from the conclusion of the negotiation of the By-Laws of the FIP. The most important agent involved in the incorporation of a FIP is the administrator, who must necessarily be a legal person duly licensed by the Brazilian Securities Commission (CVM) to exercise the activity and to perform portfolio management services. Other agents may or may not be involved in the Fund’s further activities as service providers. Despite the fact that hiring these agents is not mandatory under the regulations, it is not common to deal with FIPs that do not count at least one portfolio manager, whose main task is to decide on the management of the FIP’s portfolio, taking investment decisions. The FIP’s by-laws shall be registered before a notary. The registered by-laws, the tax number and the name of an independent auditor shall be filed with the CVM and all the information regarding the quota offering. The CVM shall automatically grant the register. The current FIP regulations do not demand any minimum capital, which results in this being defined in the fund’s by-laws. The Fund, as well as its administrator and manager, may optionally follow the Brazilian Association of Financial and Capital Market Entities (Anbima) Regulations and Best Practices Codes (the Codes). The Anbima is a self-regulating agency of the Brazilian capital market whose Codes submit its adherents to its supervision. Once institutions adhere to the appropriate Codes, the Anbima grants it a seal that may be announced, for example, on the sponsors’ websites. Since the Codes and the Anbima’s actions are fairly strict when it comes to governance and ethics within financial institutions, the seal tends to increase investors’ trust in the vehicle. A FIP must be administered by a legal person duly registered and authorised by the CVM to manage portfolios. There are some service providers that may or may not be demanded by the FIP and hired by the administrator, such as custodians, portfolio managers and consultants. The FIP is not required to have a registered office, which in practice means that its headquarters and all back-office activities are attributed to the administrator. It is, however, required to have its own books and records, such as the minutes book of quotaholders’ meetings and the registry book of nominative quotas. The administrator is responsible for keeping all the information in the books up to date. In addition, the minutes of quotaholders’ meetings, except for their identities, are usually published on the administrator’s or manager’s websites. The FIP is also required to publish material facts whenever they occur. Some of these documents must be periodically updated and submitted to the CVM, such as daily and monthly data, financial statements, which must be presented annually together with the independent auditor’s report, and the reference form, and are commonly referred to as periodical obligations. The consequences of non-compliance with these obligations may lead to a daily fine of up to 500 reais imposed on the administrator, who is responsible for keeping the documents up to date. Investors may be held liable for the FIP’s losses in the case of negative net worth, in which case the investors, aside from losing all the capital invested, would also be required to deploy capital in order to cover losses. Fiduciary duties are established for the FIP’s administrator and are extended to the manager, none of which may be modified. The administrator is fully responsible for compliance with fiduciary duties, as well as jointly with the manager for the latter’s fiduciary duties. Fiduciary duties are that both the administrator and the manager exercise their activities aiming at achieving the best conditions for the FIP, employing the care and diligence that an active person of integrity normally employs when running his or her own businesses, acting with loyalty when it comes to the quotaholders’ interests and avoiding all practices that may jeopardise the fiduciary relationship established between them. Also, both the administrator and the manager must exercise or ensure the exercising of all rights resulting from the FIP’s net worth and activities, aside from what may be disposed within the complementary information form about policies regarding the FIP’s voting rights, and actively defend the quotaholders’ rights with the diligence demanded by each circumstance, always adopting every measure to ensure that such rights are to be effectively used. CVM and Anbima have recently been paying special attention to the fiduciary duties of both the administrator and the investment manager. The FIP’s administrator is responsible for every breach of fiduciary duty and non-compliance with existing regulatory obligations under Brazilian law. There is no distinction in applicable laws and regulations between gross or ordinary negligence when it comes to the administrator’s liability, as well as the liability of all service providers that may exist under the FIP’s structure. FIPs are closed-ended funds. This means that their quotas cannot be withdrawn until the fund is liquidated. The amortisation of quotas is permitted if approved by the quotaholders’ meetings or by the manager. intensive economic productions in research, development and innovation. will to influence the decision-making processes of the invested companies. The type of FIP that best fits the objectives of the administrator must be reflected in its category. other securities convertible into shares, either issued by private or public Brazilian companies, as well as limited liability companies. In general and with certain exceptions, FIPs are allowed to invest up to 33 per cent of their resources in non-convertible debentures. Multi-strategy FIPs are restricted to professional investors, as detailed in question 25, and may invest up to 100 per cent of their resources in foreign assets (see question 31). Generally, a company under liquidation and bankruptcy proceedings (except for Chapter 11-like restructuring proceedings) shall not continue with its regular activities. Although there is no regulatory provision for such cases, it should be reasonably interpreted that a quotaholders’ meeting should be convened to change or terminate the administrator under a liquidation or bankruptcy proceeding. The principal regulatory body that would have authority over a private equity fund and its manager is the CVM. As mentioned above, there is also a self-regulatory body called the Anbima, which only has jurisdiction over its members. The CVM has broad audit and inspection rights over its supervised entities. Investment managers must be previously licensed by the CVM. Also, such entities have continuing filing and disclosure obligations with the CVM, such as annually filing a form of reference which must be continuously updated), filing codes of conduct, compliance manuals and money laundering prevention mechanisms, among others. Funds also have several reporting obligations (see question 8). All such reporting information must be made available at the managers’ and the CVM’s websites. There are no additional requirements other than those listed in question 2. Yes. The portfolio manager must be registered with the CVM and, in order to do so, it must assign at least one director to lead on the activity of portfolio management. This director must also be registered with the CVM. The FIP manager, as well as any other fund manager, must be duly registered with the CVM and, as such, must comply with the requirements set by the regulatory entity. The requirements vary as applied to individuals or legal entities, are listed by current Brazilian laws and may be summarised as follows. not be prevented from managing his or her own assets as a result of an administrative or judicial decision. assign compliance activities to a statutory director. There are no specific rules, laws or other regulatory mechanisms regarding political contributions by FIPs, whether about disclosure or limitations of any kind. However, since 2015, pursuant to a Brazilian Supreme Court decision, no kinds of political financing by legal entities are allowed - only individuals, and up to the limit of 10 per cent of their annual net revenues, can contribute to parties, candidates or their campaigns. Even though an FIP, as stated in question 1, is not recognised as a legal entity owing to its lack of legal personality, it could be fairly reasonable to assume that the prohibition would be extendable to any investment funds. There are no specific rules, policies or regulations that restrict or require disclosure by an FIP in the marketing of the fund to public pension plans and other governmental entities. There are no legal or regulatory developments emerging from the recent global financial crisis that specifically affect banks when it comes to investing in FIPs. However, a federal law dating from 1964 establishes the written authorisation of BACEN as a requisite for any private banks to participate in companies in general. Investment funds formed under Brazilian law (including the FIP) are not subject to income tax on revenues and gains arising from their portfolio transactions. Thus Brazilian income tax is charged only at the level of the investors on income or gains arising from the redemption, amortisation or sale of FIP quotas. The redemption or amortisation of quotas is currently subject to withholding income tax (WHT) at a 15 per cent rate levied upon the positive difference between the redemption or amortisation amount and the quotas’ acquisition cost. Capital gains arising from the sale of FIP quotas are also subject to WHT at 15 per cent. Brazilian legislation, however, has reduced to zero per cent the WHT rate applicable to income arising from investments carried out under the rules of Resolution CMN No. 4,373, dated 29 September 2014, by non-resident investors not domiciled in favourable tax jurisdiction through FIPs (4,373 Investor), provided certain requirements are met, as detailed in question 18.
the FIP complies with other portfolio requirements issued by CVM. If the above requirements are not met by either the FIP or its investors, income and gains arising from redemption, amortisation or sale of quotas subscribed and paid-up by 4,373 Investors will be subject to WHT at 15 per cent. Non-resident investors must obtain a federal taxpayer identification number in order to invest in the financial and capital markets in Brazil, as well as assign a local representative to fulfil tax obligations from such investments. Under Brazilian law, it is not necessary or desirable to obtain a ruling from Brazilian tax authorities in order to enforce the tax treatment applicable to FIPs. All FIPs formed under Brazilian law are subject to the same ground rules, aside from the exemption mentioned in question 18. Aside from potential regulatory and administration fees, no other significant organisational taxes are due. Administrators and investment portfolio managers of FIPs are subject to regular corporate taxation in Brazil (ie, Corporate Income Tax - IRPJ, Social Contribution on Net Profits - CSLL, Contribution to the Social Integration Programme - PIS and Contribution for the Social Security Financing - COFINS), as well as other Brazilian taxes potentially levied on the activities carried out by such entities (eg, the Tax on Services - ISS). With the purpose of avoiding double taxation, Brazil has entered into treaties with 33 countries. These treaties follow the model established by the Organization for Economic Cooperation and Development and provide rules on taxation mainly upon profits, dividends, interests, royalties, capital gains and other income. As a rule, in regard to investment funds, tax treaties usually do not provide for a more favourable tax treatment if compared with the tax regime set forth by Brazilian law. On 6 May 2016, the Brazilian Internal Revenue Service issued Normative Instruction No. 1,634, under which the procedures to obtain a Tax ID number are regulated. This Normative Instruction sets forth obligations for non-resident investors (including certain 4,373 Investors) to disclose information on the ultimate beneficial owners existing under the corporate investment chain. The public distribution of quotas generally needs to be registered with the CVM. However, usually FIP quotas are distributed through public offers with restrictions, in accordance with CVM Instruction 476/09. Such distributions are exempt from registration with the CVM. no more than 50 investors may acquire quotas. Not every person is allowed to invest in an FIP. Investments are restricted to qualified or professional investors, which are defined as follows. investment clubs, as long as their portfolios are managed by one or more quotaholders understood as qualified investors. The identity of funds investors is generally protected by bank secrecy laws and must not be disclosed unless certain conditions are met. However, for the purposes of applicable anti-money laundering laws, securities transactions above a specific threshold must be communicated to the Financial Activities Control Board of the Ministry of Finance. Intermediaries selling interests in private equity funds must be registered with the CVM as intermediaries. Investment managers may distribute quotas of FIPs managed by them, if certain specific legal requirements are observed. Money laundering is a felony under current Brazilian laws and is punishable with penalties from fine-paying to imprisonment. Aside from these consequences, participants in the financial and capital markets proven to have committed these offences may lose their licences. Current regulations demand that administrators and portfolio managers, as well as financial institutions in general, elaborate, publish online and implement internal rules that allow them to identify their customers, the origin of resources that they intend to apply and to constantly track their profiles as a way to reduce money laundering schemes involving financial and capital markets. BACEN demands that all information regarding investors and transactions conducted by financial institutions remain stored for a minimum period of five years as from the closing of the account or last transaction performed or demanded by the investor. Such information must remain available to the authorities for audit. FIPs are able to list on a securities exchange as far as they are regularly constituted with the CVM. One of the greatest advantages is that FIPs are closed-ended funds and, as such, the negotiation of their quotas on the securities exchange market makes it easier for quotaholders to increase liquidity options for their investments as an alternative to withdrawal or waiting for amortisation. The main disadvantage regards the expenses that come with listing the FIP quotas on organised markets, since more registers and licences are needed, and for every public offer the supervisory fees itemised in question 2 become due. Listed FIPs may restrict transfers to qualified investors only. Current regulations impose concentration limits to the portfolio’s composition, which may vary among the types of FIPs listed in question 8. Aside from the exceptions, FIPs may invest in shares, subscription bonuses, non-convertible debentures, other securities convertible or exchangeable into shares of listed or non-listed companies, as well as equity interests of limited liability companies. The FIP may invest up to 33 per cent of its net equity in one type of financial asset. FIPs may invest up to 20 per cent of their net equity in assets located abroad, as long as such assets are economically equivalent to those listed above. A foreign investment is defined according to its issuer’s headquarters, as long as the issuer does not have 90 per cent or more of its net equity in national assets, or the issuer, despite having headquarters in the country, has 50 per cent or more of its net equity in assets abroad. In the case of a FIP whose by-laws allow investing in foreign assets, as long as it is solely available to professional investors and includes ‘foreign Investments’ in its official denomination, it may invest up to 100 per cent of its net equity in such assets. Usually, the investment manager’s compensation is established as management and performance fees. Management fees are usually established as a percentage of the Fund’s net worth. Performance fees in local funds are usually set as a percentage of the fund’s profits on the capital invested plus a hurdle rate, which is usually an inflation-indexed rate plus a fixed rate. Management and performance fees are provided for in the Fund’s by-laws, treated as services rendered and taxed as such. Transaction fees charged by the investment manager or related companies should be approved by the quotaholders’ meeting, since the regulations require such approval in case of conflicts of interest. Many FIPs’ by-laws forbid the payment of transaction fees in such cases. 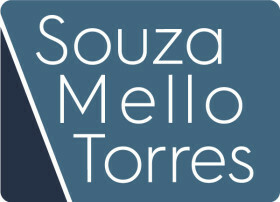 Souza, Mello e Torres is a multidisciplinary firm that allies the expertise of renowned lawyers in transactional practice and young lawyers with solid academic background, providing personalised high-standard legal services.